1 new listing posted today to the Pocatello MLS Hot Sheet! 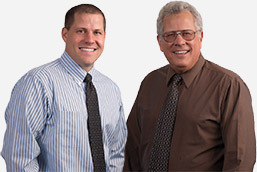 With nearly 60 years of combined real estate service in Pocatello, the Satterfield Team offers you unrivaled expertise and service. We give you free access to the Pocatello MLS with no registration required! Our system is easy to use and mobile friendly. From drawing floor plans to connecting you with the right builder on the right lot, we are experts in Pocatello new home construction. Billy Satterfield was AMAZING to work with. He went above and beyond all of our expectations. Billy was always willing to answer any and all questions as fast as he could. I would and will definitely refer anyone who is looking to purchase or sell a house to Billy Satterfield. One of the reasons my wife and I chose Bill as our Realtor was, of course, his reputation in the real estate industry. Throughout the selling process it felt like a team effort all the way to the close of the sale. Would I use Bill and Steve as my Realtors® again? Absolutely! "Simply the very best!!!" Cannot say it more simply and honestly! We can say without any reservations that if you want very knowledgeable, professional, efficient, and courteous and ever-friendly service, Billy (and Steve) is your prime (and only) choice! I cannot recommend Billy Satterfield high enough. He is a great person and an incredible realtor! He is someone that we both felt that we could trust without question as we began the process of looking for a new home. He made the experience enjoyable and exciting. Working with Billy Satterfield was fun and nonstressful. He came highly recommended from our Realtor® in Utah. My family was in somewhat of a rush situation to find a home and Billy made our transition really easy. He was very flexible and knowledgeable.